Our goal is to fully digitalize each step of the supply chain so data can flow seamlessly, providing end-to-end visibility for our customers, suppliers and other stakeholders. This means they can stay ahead of the disruption at retail, capture and share data across the entire value chain to enable smarter, faster and more effective decisions, ensuring business sustainability. Our dedicated customer portal brings together our customers’ global supply chains into a single global date source environment that’s available at any time, on any device, anywhere. It allows management and operational dashboards, reports and insights with end-to-end visibility of your global supply chain. 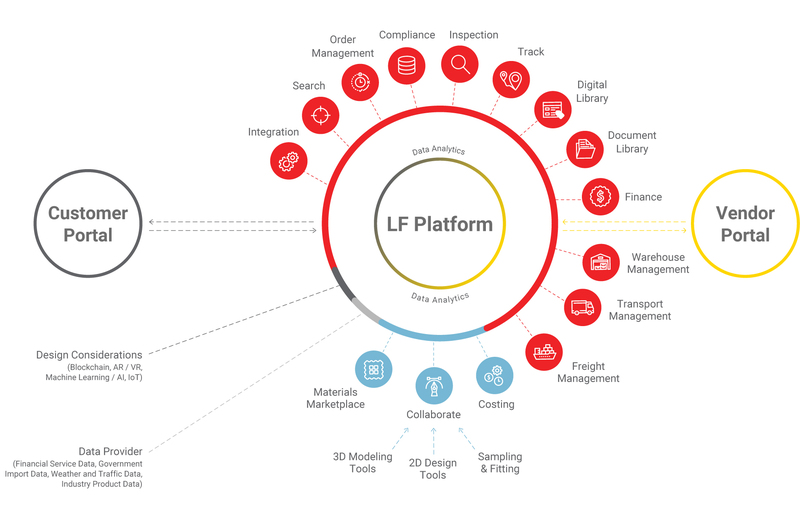 The LF Digital Platform connects our brand and retail customers with our supplier base. 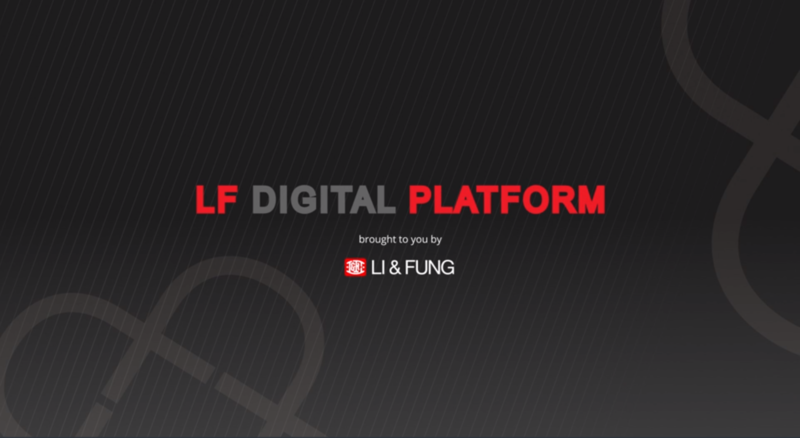 From design collaboration to digital sampling, through to costing and fit review, the LF Digital Platform is transforming analogue, manual work into digital tools. It will allow the myriad of systems used by our customers and vendors to connect and use data analytics for better decision making. Our size and scale means we are uniquely positioned to adapt our platform to accommodate these system differences and transform the supply chain with integrated end-to-end data flow. Total Sourcing is our secure vendor portal enabling over 15,000 suppliers to connect online, around the clock, providing end-to-end transparency to manage their relationship with Li & Fung and other parties such as secondary suppliers, banks and carriers. From orders, payments, tracking, shipping, documentation and labelling there is a single point of data capture ensuing quality control at the source.